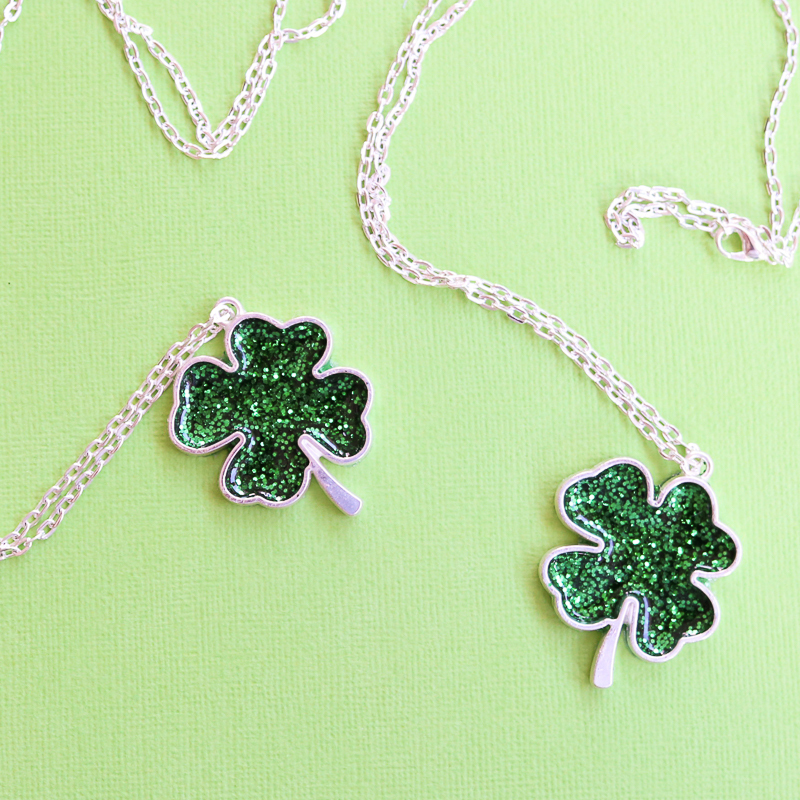 A shamrock necklace is a perfect accessory for Saint Patrick’s Day. Today we are showing you how to make your own with a bezel and some resin. 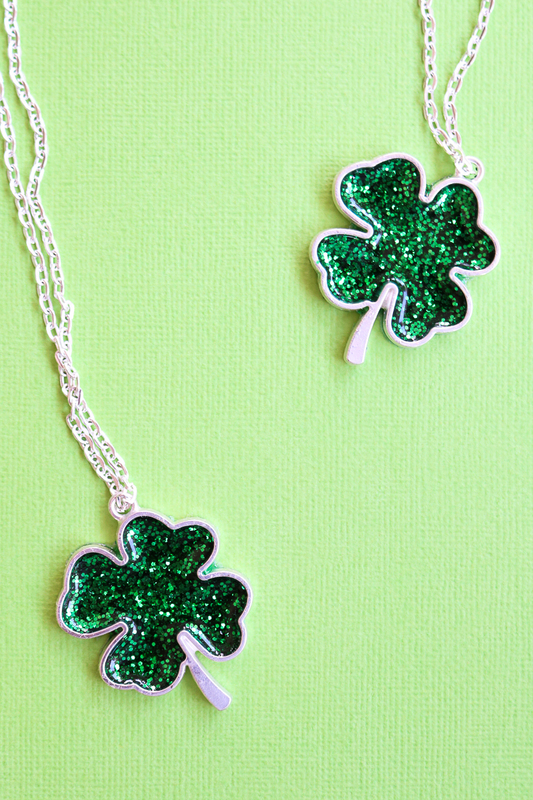 This sparkly green necklace will keep you from getting pinched this March and may even bring you a little luck! 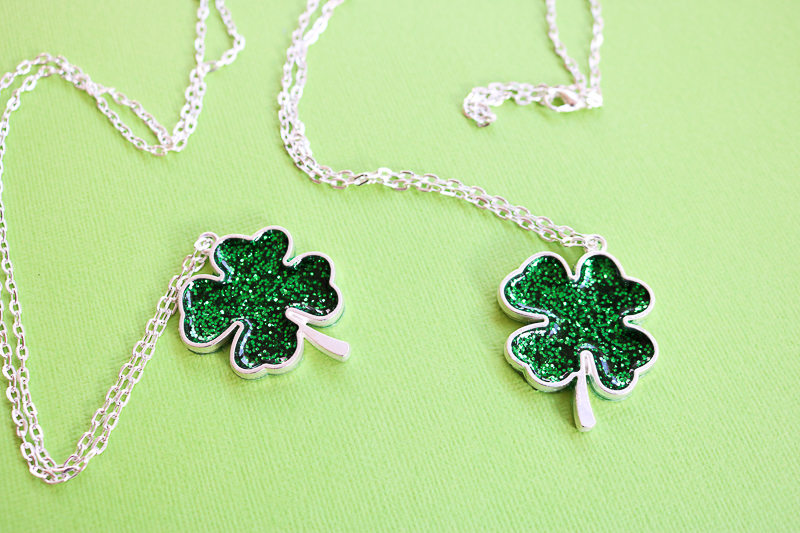 Plus it is easy to make so there really is no reason not to wear green this year. 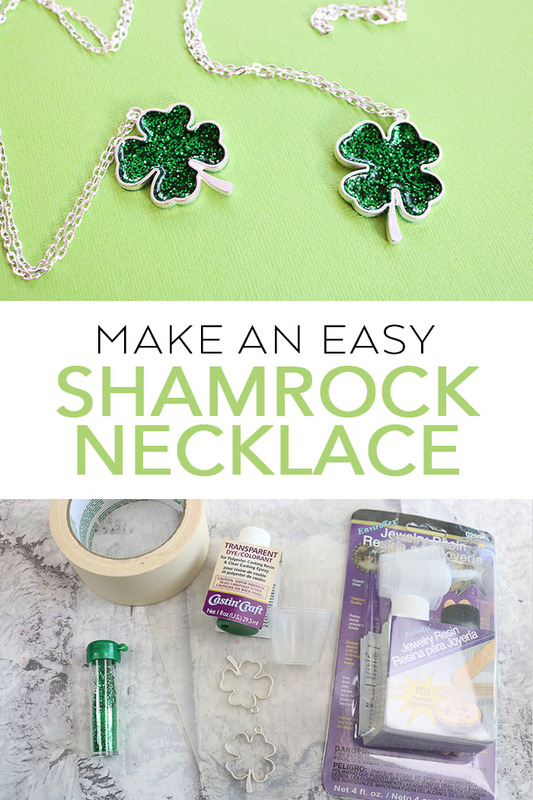 Start by adding masking tape to the back of your shamrock bezel. Press down well. Then add hot glue to the bottom and secure to a non-stick mat. This will keep everything still while you work. Measure and mix the resin according to the package directions. Be sure to wear protective gloves and mix completely. 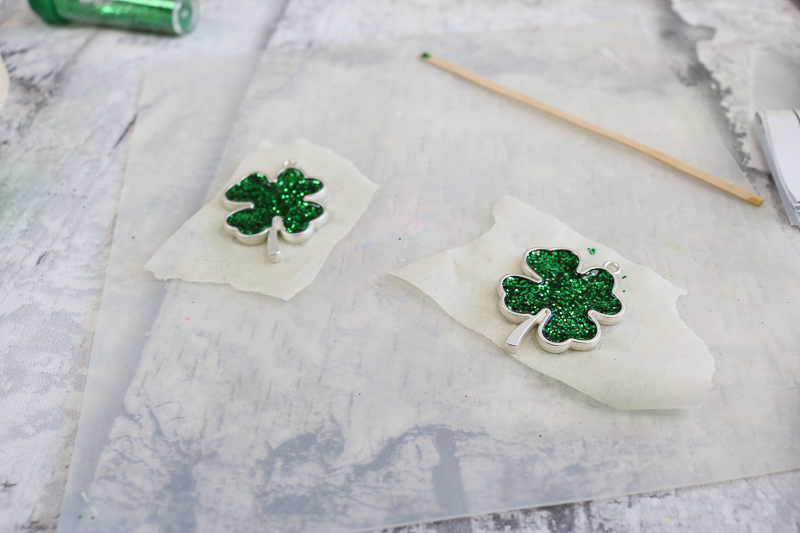 Then add in some green coloring and a lot of green glitter. You will need to make it where you can only see glitter and no green resin. The glitter will settle once poured and you want to be left with glitter on the top surface. 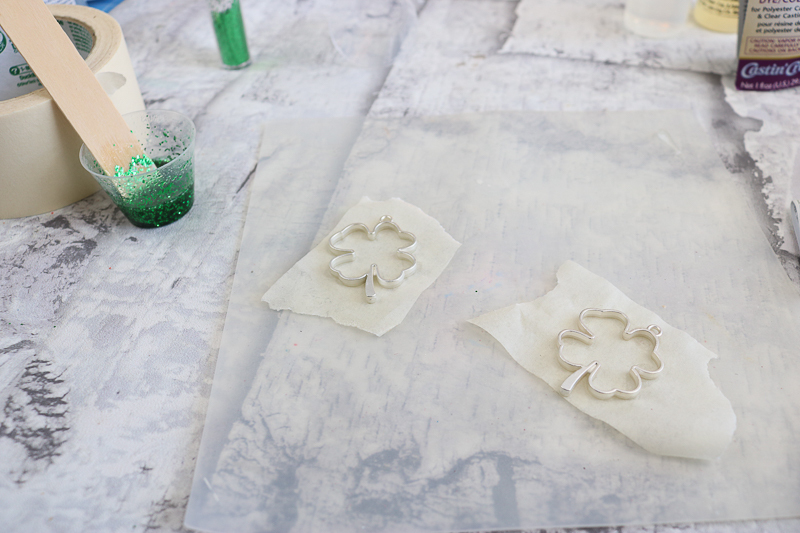 Then pour your mixture into each shamrock bezel carefully. Use can use a stir stick or toothpick to get the resin into all of the corners. Be sure the pieces are level and leave them to cure about 24 hours. Come back every hour for the first three hours and make sure there isn’t any resin seeping under the tape. If you have some, just use a damp cloth to remove. Don’t pick up your pieces! Just use the rag around the outside while the shamrocks are still firmly on the mat. Once cured, add a necklace to the bezel and this one is ready to wear. 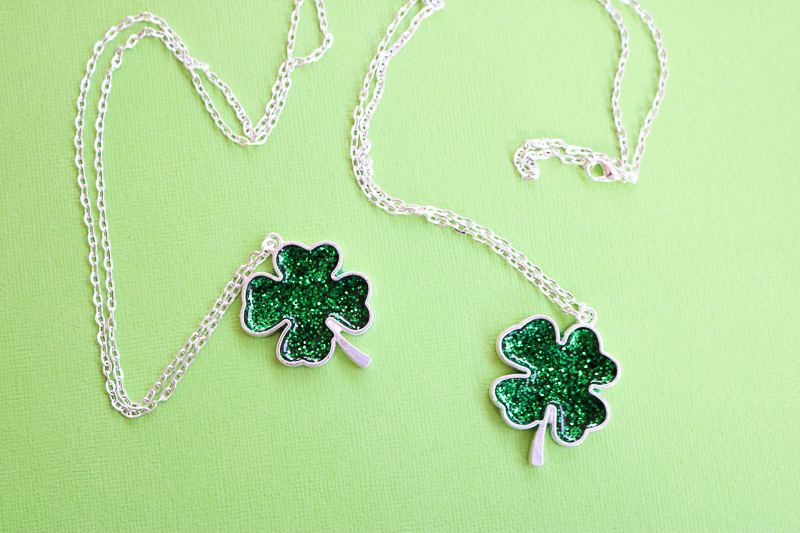 Sport a shamrock necklace this Saint Patrick’s Day and avoid getting pinched! 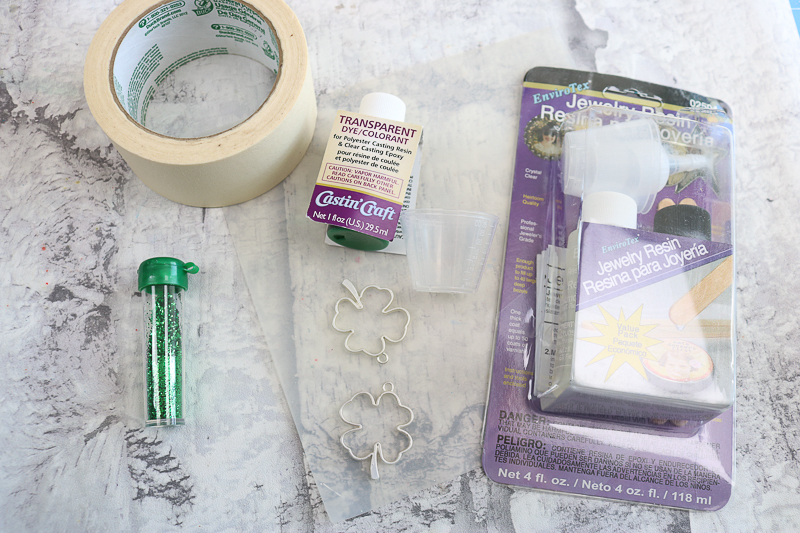 This quick and easy project will look great with any outfit. You can use this same technique and differently shaped bezels to make a wide variety of necklaces. Imagine this glitter and sparkle with every outfit you own. 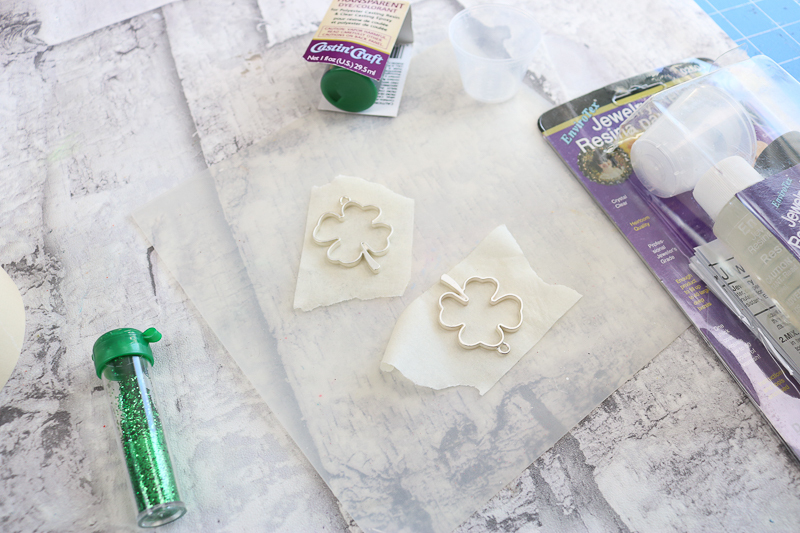 A fun idea with resin that everyone will love!